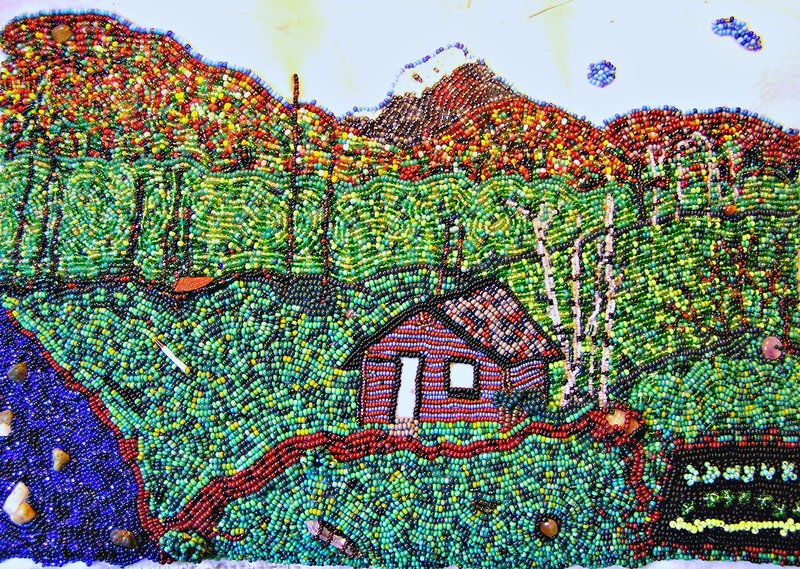 I have completed the hills and mountains, starting to bead the sky! I’m going with a summer blue, evening sky but…. check out this photo from our sky last night! I will probably use this for reference on another piece. This piece turned out great! do you plan to enter it into a show? Thanks Rachel. This is not finished yet. I still need to do the sky and lots of layers of tree branches, leaves and bushes and flowers…. I hope to have it finished in time to enter into a juried show in Sept.